1. More Content Marketing from More Brands. Fight the clutter. There's going to be an abundance of content. Content from more brands, ore influencers, more media companies and publishers, and more just plain folks. Users will generate more content. Which all adds up to a whole lot of content clutter. 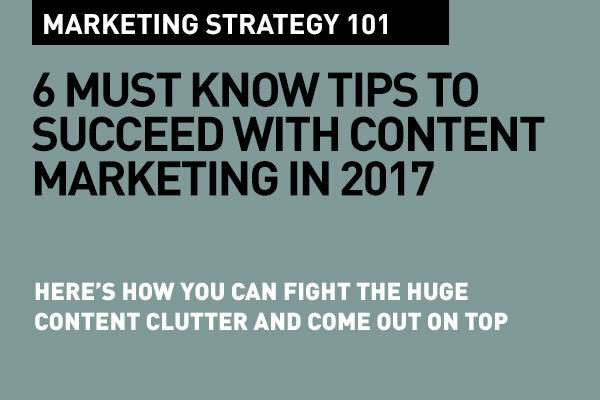 Point being, that the brand content you generate will really need to fight the clutter. The content you generate will need to be above and beyond the ordinary, and one that will in several unique ways stand out from the rest. Brands will actually pump in more budgets into content, you'll see better teams, bigger teams producing content. In all aspects of marketing, where, over the last couple of years, content kind of had it's own ground, now content, going mainstream almost, there'll be territory issues. So, again, content will have to be stand out, not just to win the overall marketing game, but eyeballs and attention. Web 3.0, Web whatever.0, visual content will really rule the roost. Look at Instagram, Pinterest, Snapchat, Facebook... content that works immediately and with gusto seems to be visual content. So get set with your teams and be ready to have your content go ape on visual. Visual content isn't easy. You need beautiful, smart, well crafted, well photographed, and well titled images to make them work. You'll need a library of images for your brand or product. Live, on-going, casual images are fine on iPhone or other smartphone shot ways, but it's best to hire a professional to develop a nice little library of your products, people, company, products in use etc. You'll also need some design work on a online platform like Canva or Stencil, or for basic design help, like a Design Pickle. Video content is images. Images that move. And speak. And sing. And dance to the tune of your audience. So make 2017 the year of video content as much as possible. Explore Live Video (see post: How to use Facebook Live video like a pro. The essentials of getting it right.). YouTube, Snapchat, Twitter, Facebook are all going to amplify video in 2017 like never before. And, we do know, that most consumer internet traffic is video, anyways. Create rich content. Make quality count. Make sure you create great engaging video content for your audience. Make sure that the video content actually resonates. As in any social media, Customer or Consumer Insights is your First Step in Digital Marketing with any content you create for your audience on Facebook. You can have the best video content, but is it relevant to your audience? Focus on quality from the first frame – Since videos auto-play silently in Feed, you should lead with imagery that will catch a person’s eye from the very beginning. Provide context – Set context by pulling out a key quote or moment from the video as the text component of your post. This will help set expectations for the experience ahead. 4. 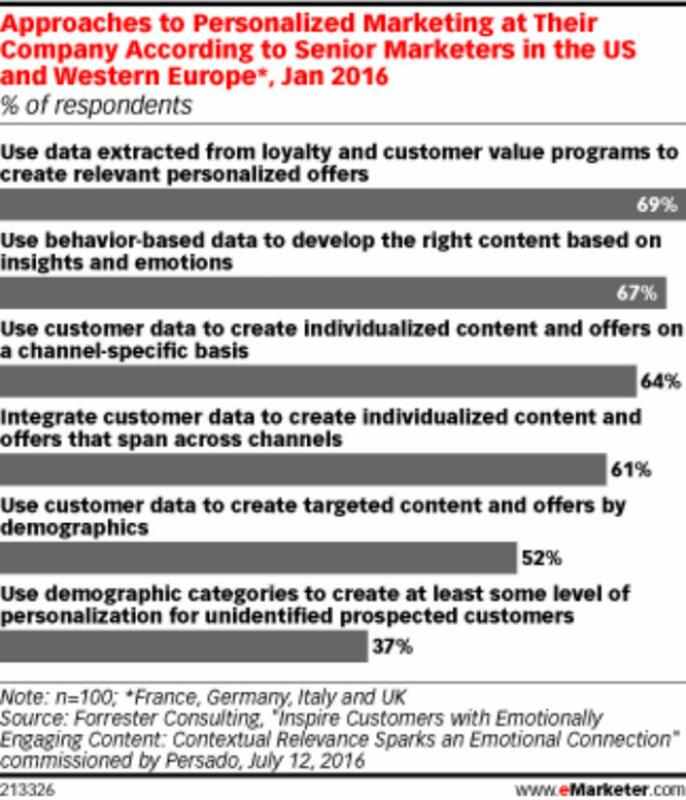 Mobile will drive content. Are you there? 2017 isn't the year of mobile. 2016 was. 2015 was. as was 2014. 2017 will be mobile, period. So get your content mobile ready, not just mobile friendly. Get ready for vertical videos. Get ready for Live video shot on mobile, consumed on mobile. Only. Audit your current content. Does it work on mobile? Or does your customer need high powered reading glasses to view your content. Speaking of which, is your website (your main content, actually), at least responsive? And be prepared for the explosion in app delivered content. Increasingly, brands are taking to apps to contextually deliver meaningful, in the moment content. Get working on apps. 5. User generated content. Use it. Because content marketing is essentially based on trust and meaningfulness, and usefulness, UGC or User Generated Content will be another key element in 2017. We know that 85% of people trust content made by others more than they trust brand content. So, you really have to grab this opportunity this year. You user is your every day influencer. UGC comes in all shapes and sizes – reviews, unboxings, comments, shares, YouTube videos. Develop a unique platform for your users to contribute to your content efforts. 2017 will be the year of custom content. The time has come for not all-for-one content, but for one-to-one content. We know a lot more about our customers and our target audiences than before. How come were not using it to create micro-buckets of content that resonates with them on a personal level? You will need to look at perosnalized content – where the user can view and consumer based on their specific need, their specific thrill. Last year, we talked a lot about influencers – this year, I didn't mention it as a key tip, because we all know that influencers do wield a lot of power. Overall, be prepared for how technologies, new platforms, advancements in VR and AI, consumer habit shifts are going to influence content marketing. Remember, content is king. And context is God. 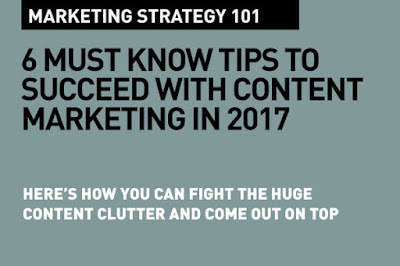 This is a easy to follow reminder on how to beat the clutter in content marketing that we all see. What is relevant is that the points you make have become mandatory. Example mobile ready content, and video content. Somehow, we really need to focus on these. 2017 will be yet another year when Content is a key buzzword. Thanks for the tips. All are saying the same thing repeatedly, but in your blog I had a chance to get some useful and unique information, I love your writing style very much, I would like to suggest your blog in my dude circle, so keep on update. I like your page and comment. Because i see your blog daily, it is crispy to study. Thanks for sharing the good information!!! Thank you very much for being helpful and I will put it to use. I dont wanna die today. Thanks for sharing helpful info. This post is really nice, thanks for it and keep updating yous posts. Thanks for the good post and share. This is a great strategy, thank you for sharing. Thanks for sharing the best tips and tricks of Content Marketing. I will definitely follow them.